Keith Elder is the co-host of the popular online technology podcast Deep Fried Bytes. He is also a Director of Software Engineering at Quicken Loans, the nation’s largest online mortgage lender based in Detroit, MI. 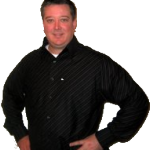 Keith is an experienced technologist, systems administrator, software engineer, speaker, trainer and all around geek. He speaks throughout the United States at major technical conferences, Code Camps, and .Net User Groups. Keith’s ability to explain complex topics with a friendly common sense southern attitude make him a highly regarded speaker at technical conferences. You can read more about Keith’s interests, hobbies, rants and raves on his blog athttp://keithelder.net/ and follow him on twitter athttp://twitter.com/keithelder.